Updated Friday June 1, 2018 by Rye Brook Youth Soccer. 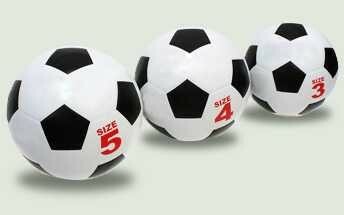 Different soccer ball sizes are used for players at different ages. Using the proper size allows children to develop their skills with soccer balls of the correct proportion.